Poland’s fourth largest city was named the European Capital of Culture in 2016. Since then, the city has thrived – its faded neighbourhoods now attract film directors, boutiques pop up in 1970s housing blocks, and there’s wining and dining with a difference. 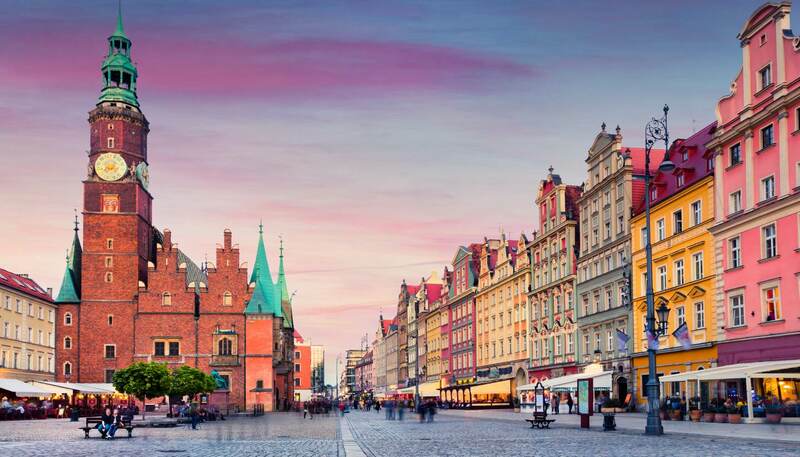 Here are the 10 things not to miss when visiting Wrocław. In Wrocław, gnomes snooze in doorways and swing from lamp posts. They originate from anti-establishment capers by the Orange Alternative movement in the 1980s. Gleefully declaring that rules prohibiting demonstrations didn’t apply to gnomes, many of these dwarves show indomitable spirit, including the first gnome statue which is poised holding a rock behind his back (spot him on the corner of Świdnicka and Kazimierza Wielkiego). 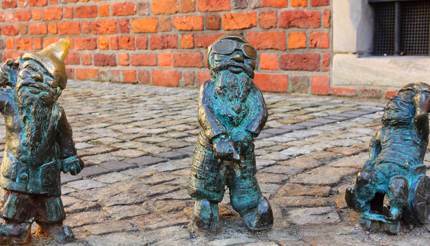 Nowadays there are more than 300 dwarf statues, embodying whimsical caricatures of Wrocław’s human inhabitants. Tread the trail with a map from the information office in the Market Square. North of the River Odra lies rapidly changing Nadodrze. Handicraft shops and pint-sized galleries are sprouting across this once-dreary neighbourhood, though 1970s tower blocks and crumbling art deco mansions still serve as gritty reminders of its past. Knitted accessories and anatomical heart jewellery fight for space in Macondo (address: Pomorska 19), a chic gallery which aims to blur the line between what is possible and impossible. Meanwhile, browsing paintings and sculptures in Galeria G (address: Jedności Narodowej 47) feels like rummaging in the attic of a fabulously eccentric aunt. Hydropolis (address: Na Grobli 19-21) is the most surreal (and interactive) exhibition space in Wrocław. Step beneath the aquatic curtain of this cross-discipline water museum to discover a cornucopia of roaring audio-visuals and neon-lit installations. Duck into movie lounges showing films about undersea ecology, worship the glowing altars of water symbolism in world religions, and stretch out on lounge chairs to watch projections of the ocean. 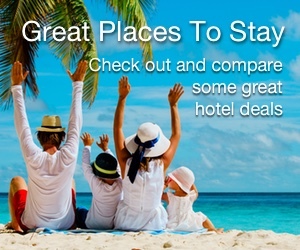 Who cares that it’s 480km (298 miles) to the sea? 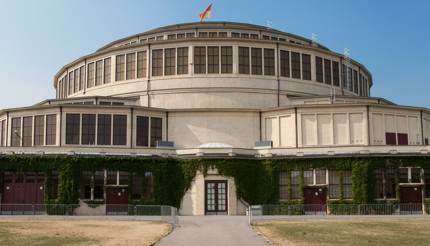 Saucer-shaped Centennial Hall (address: Wystawowa 1) is a UNESCO-listed architectural marvel. Completed in 1913, it won acclaim for its elegant design and broke records for concrete construction. Spared damage during WWII, it was a meeting point for protesters during the 1980s Solidarność movement for workers’ rights and is still referred to as a Cathedral of Democracy. The post-war buildings in Oława, eastern Wrocław, are so untouched by development that Steven Spielberg shot parts of the film Bridge of Spies here. In the movie, this trio of eerie lanes stood in for Berlin at the height of Soviet subterfuge – the only change required was the hasty unhooking of a few satellite dishes. Oława is known as Wrocław’s Bermuda Triangle, thanks to its insalubrious past: it was joked that these streets could make belongings (and people) disappear. It no longer harbours this murky reputation, so visitors can experience the brooding atmosphere without fear of being spirited away. Central European menus are heavy in beetroot soups and cannonballs of pork knuckle, and although there’s no shortage of hearty meals in Wrocław, it also has a refreshing selection of vegan restaurants. 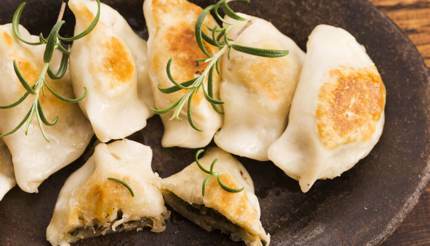 Bar Vega (address: Rynek 27a) dishes up meat-free takes on Polish cutlets and stuffed cabbage rolls, while Green Way (address: Legnicka 60) packs pierogi (dumplings) with lentils and broccoli. For something classic, try ZZtop (address: Kazimierza Wielkiego 25/1a) where the ‘ZZ’ stands for zupy i zapiekanki, soups and toasted baguette drowned in mushrooms and melted cheese. Robed priests and nuns can still be seen sweeping across the bridges around Ostrów Tumski (Cathedral Island), Wrocław’s oldest and most spiritual area. Just northeast of the Old Town, this sacred spot has extra sparkle after dark: it’s the only place in the city illuminated by gas lamps. Arrive before sundown to see a lamplighter, who wears a top hat and black cape, extending his taper to each one; this enchanting area is one of only two places in Europe where old-fashioned illumination takes place by hand (the other is Brest, Belarus). Period buildings have found new purpose in modern Wrocław. The swinging carcasses of Stare Jatki, the old butcher’s lane, have been swapped for souvenir shops. At the old jail (address: Więzienna 6), incarceration is now entirely voluntarily: vaulted brick-lined chambers play host to dining and drinking in Motyla Noga, a gastropub with a rich choice in beers and Polish cuisine. The only inmate unable to escape is a dwarf statue chained to the window frame. Although Wrocław’s Jewish history dates back to the 12th century, post-WWII immigration boosted the Jewish population. White Stork Synagogue, the only synagogue in Wrocław that wasn’t destroyed during Nazi occupation, is now a key worship site for the city’s Jews. Nearby, Jewish-themed restaurants and bookish cafés flourish and one good example is CIŻ Café (address: Pawła Włodkowica 9), a charismatic spot for kosher snacks and excellent coffee. This amazing, 360-degree painting is Wrocław’s hottest cultural attraction. It depicts the Battle of Racławice in 1794, during which locals rose up and defeated the occupying Russian army. It’s a huge source of local and national pride.